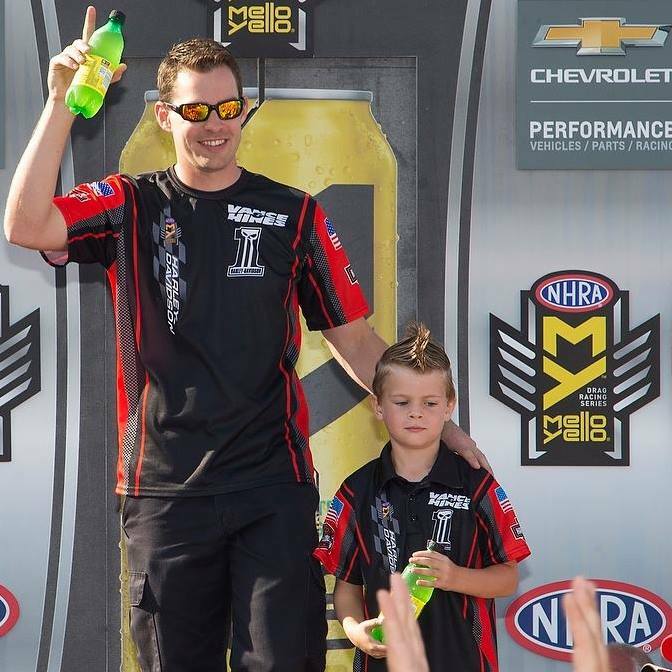 Andrew Hines won the Pro Stock Motorcycle portion of the Auto Club NHRA Finals at Auto Club Raceway at Pomona to continue his streak of 14 consecutive seasons with at least one victory. 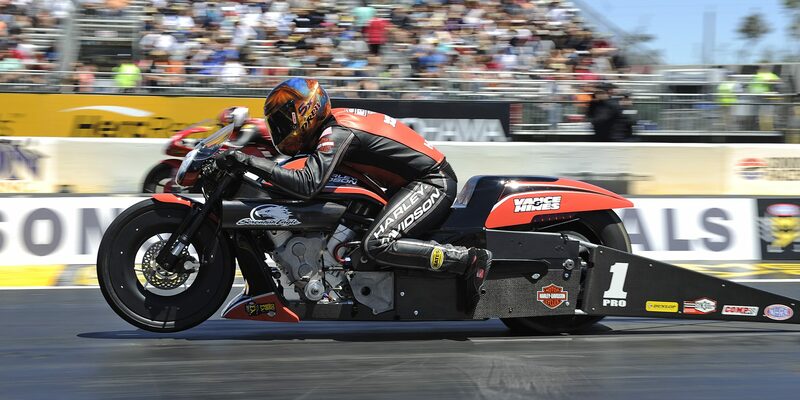 He defeated teammate and newly crowned 2017 NHRA Mello Yello Drag Racing Series Pro Stock Motorcycle world champion Eddie Krawiec with a 6.856 pass at 196.02 on his Screamin’ Eagle Vance & Hines Harley Davidson. Krawiec rode to a 6.930 run at 177.58. Andrew Hines with some help for his walkout. Hines rode past Ryan Oehler, Joey Gladstone and LE Tonglet before facing his Harley-Davidson teammate. With the victory, Hines finishes the season second in points. Krawiec defeated Lance Bonham, 2016 world champ Jerry Savoie and Matt Smith before falling in the finals. The 2018 NHRA Mello Yello Drag Racing Series season will kick off with the Lucas Oil NHRA Winternationals presented by ProtecttheHarvest.com Feb. 8-11 at Auto Club Raceway at Pomona. FINAL — Hines, 6.856, 196.02 def. Krawiec, 6.930, 177.58.